As per the Tale, Alangudi is position where God Shiva drank the dangerous poison produced during the rolling of 'paarkadal' (Sea of milk). Hence this position is identified as Alangudi (basically means 'the position where God Shiva absorbed the dangerous poison'. The Devas, while rolling the paarkadal for amrutham (nectar), were restricted by the toxic gases from the reptile Vasuki and intervened to Lord Shiva for liberation. Lord Shiva absorbed the dangerous Ala Visham (poison), thus providing increase in name of this sthalam, Alangudi and the God was acknowledged as "Aabathsagayeshwarar". Lord Ganesha is also devoted in this shrine as 'Kalangaamal kaatha Vinayagar'.Another legend is, Goddess Parvati started serious penance to get wedded to Lord Shiva & then wedded Lord Shiva, and hence the position is also known as the Thirumana Mangalam. Lord Shiva in the form of ferryman (boatman) assisted Sundaramurthi Swamighal to go to the other side of the cross the Vettaru River, a division of Cauvery river, three km from Alangudi.The boat got turned over by hitting a stone, in the way. Master Shiva sitting on Rishaba Vahana assisted him to achieve the sthala securely. 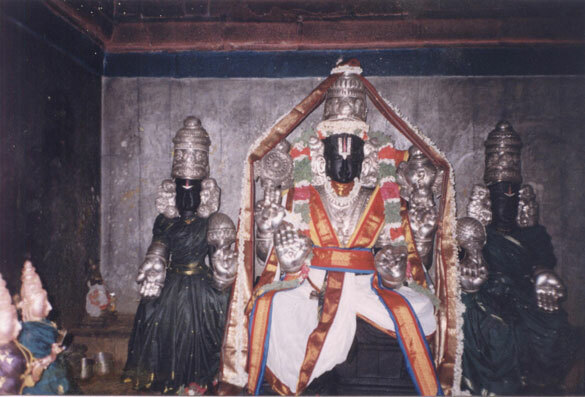 Sundarar obtained Gnana upaadesam after the darshan of Dakshinamurthi at this place. 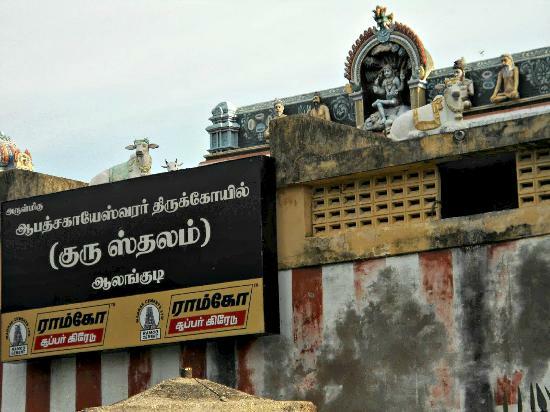 This place is Parivara sthalam for Madyarjuna Mahalingam Peruman. It's among all the Panchavaranya Sthalas. 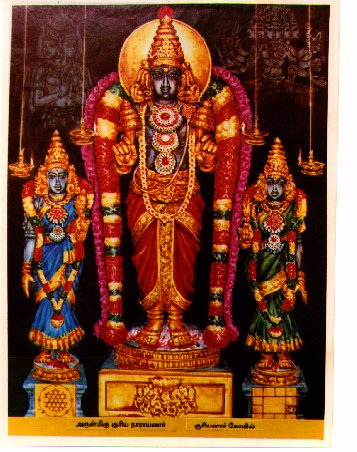 Thirumal, Vishwamithrar, Brahma, Garuda, Lakshmi, Ashta Thiku Balagas, Ayanar, Vera Badrar, Mukunda Chakravarthi, Suvasanan, Sundarar have praised at this sthala. Guru is linked to fortune, advantage and lot of money. The unfavourable place in the astrology can cause skin issues, joint disease, heart relevant issues, fear & discomfort. Guru blesses his enthusiasts with child, good knowledge, valour, extended life and treat from illnesses. Devotees lights 24 ghee lights and do pradharshanam (circumambulation) of Shiva's shrine 24 times. Promotions of yellow-colored fabric, konda kadalai (chick pea) and vella mullai (a kind of Jasmine) are made to Guru here. The transportation of Guru, known as Guru Peyarchi which happens every year, is an essential event in this shrine. Thursdays being the day of Guru is very essential. 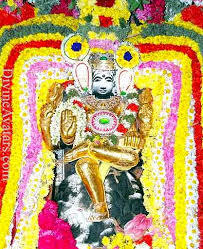 Going on a fast or consuming only once (oru pozhudhu) on Thursdays is suggested. Bananas and sodium is to be prevented on these days. 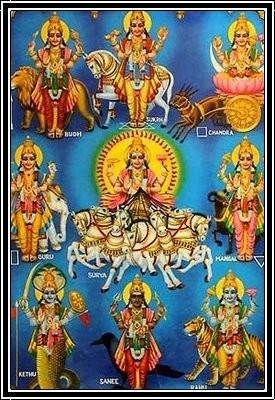 Unique Darshans are organized on Thursdays as well as on the times of Jupiter's transportation to next Zodiac. Mashi Maham, (month of Aquaris between 12th of Feb and 14th of March) (Mashi Mah Gurvara dharshana ). 1008 Conch Abhisheka � Event (Reethathotsavam) on the Tenth day & Laksharachana during Jupiter transportation times are celebrated. 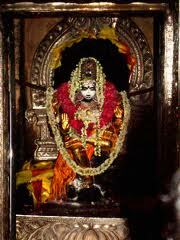 Poojas performed at night are very popular in this holy place.